After announcing the cast for the four Turtles and April, it is time for announcing the actor who will play MAster Splinter. 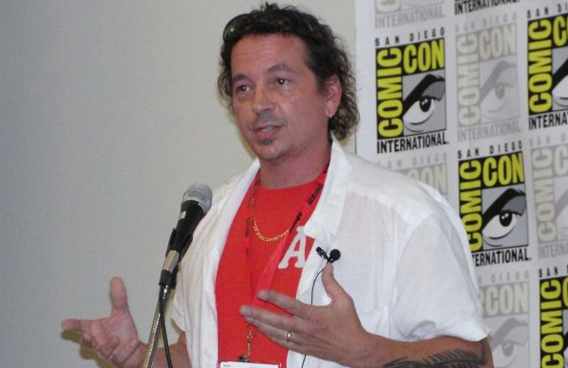 Deadline revealed that actor Danny Woodburn (Rorschach’s voice in Watchmen) will lend his voice (and maybe motion capture acting) to Master Splinter. Ninja Turtles is stated for a June 14 2014 release. Only a week after Raphael was officially cast, the three remaining brothers have now actors names attached to them. Ninja Turtles will hit theaters one June 2014. Only weeks after Megan Fox joined the cast of the Ninja turtles movie reboot, a second actor has been confirmed to join Bay’s reboot of the Turtles. The actor in question is Alan Richston, who according to deadline, will play the role of Raphael. Now as you probably know, the turles will all be CGI, so Alan Richston, who played Aquaman in the Smallville, will probably be in a blue suit and we will only get see his performance and hear his voice through the macho turtle Raphael. Eastman: “One of the things that’s awesome about the relationship I’ve had with Platinum Dunes and Michael Bay and Jonathan Liebesman and some of the producers, Scott Mednick and Galen Walker on the series, is that it’s probably amusing to a lot of people what the press puts out there and what they say people behind the scenes really want to do with the movie, but [Platinum Dunes’] main goal is actually to make the best possible “Turtles” movie with respect to the fans and the core audience as possible. We’ve learned from movies like “The Avengers,” which to me was a superhero movie so good to me personally that I practically wept. It was perfect, you know what I mean? That’s the stuff that I grew up on. Joss Whedonjust knocked it out of the park, the whole team did, and that includes choreographing all the interlocking movies. 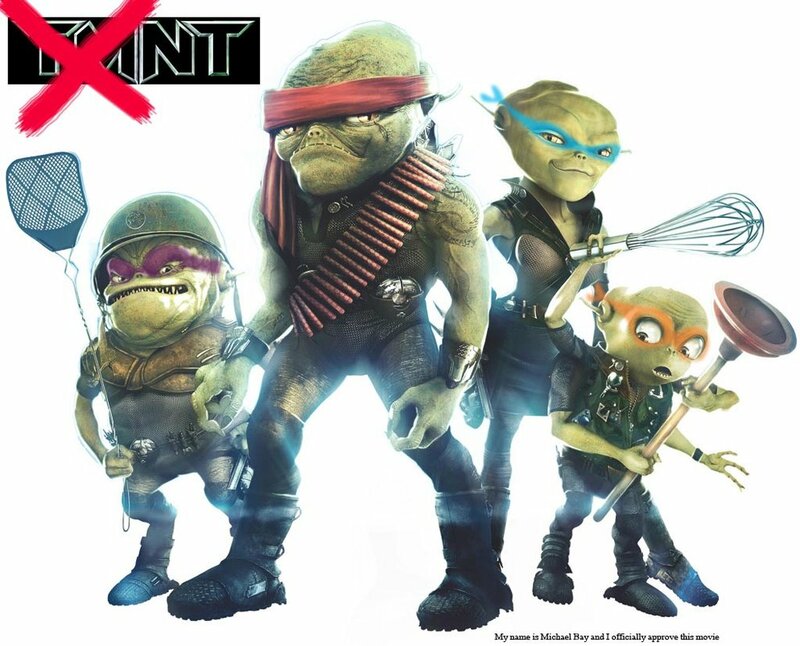 Remember when Michael Bay broke the internet by announcing that the Turtles will aliens from another planet in the upcoming movie reboot? 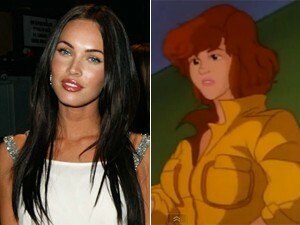 Well many fans joked about Bay hiring Megan Fox (from the Transformers movies) to portray April O’neil. Well guess what, the joke is on us now, as Michael bay announced today that Megan Fox has joined the cast of the Ninja Turtles movie. 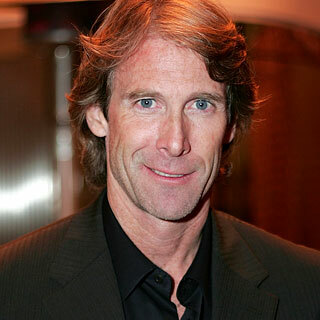 And thus i cannot find words to finish this post ……..
Michael Bay responds to fans criticism of the Ninja turtles reboot movie script! While it can be reassuring that Bay states the Script is old, the leaked document(now confirmed genuine) had a January 2012 date, while Michael Bay’s involvement with the movie started 2 years ago. so you be the judge to Bay’s comments! Read the full Ninja Turtles movie reboot Script right here, right now! It is true! The Ninja Turtles Movie reboot script has found its way online, and it is as many feared, way far from the source material. 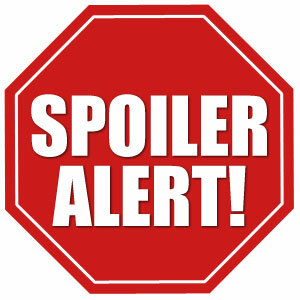 We will post our own review of the thing in the coming hours, in the meantime you can read the script your self by clicking on the link below. Enjoy! EDIT: I am not sure how long i can keep the script online, but i will take it down if Nick requests so. Skeletor reviews Michael Bay’s Ninja turtles Movie script! ” We start out at a government facility where we meet Colonel Schrader (get it? Schrader/Shredder) and his army (called “The Foot” for no particular reason). He’s talking about this mysterious “Project Aries”. We then move to amateur hockey player/night watchman Casey Jones. He’s in an on and off relationship with Journalism student April O’Neil, who’s trying to convince him to move to New York with her. Casey goes to his job as the Night watchman of a furniture parts factory.